Every new mum needs a helping hand. 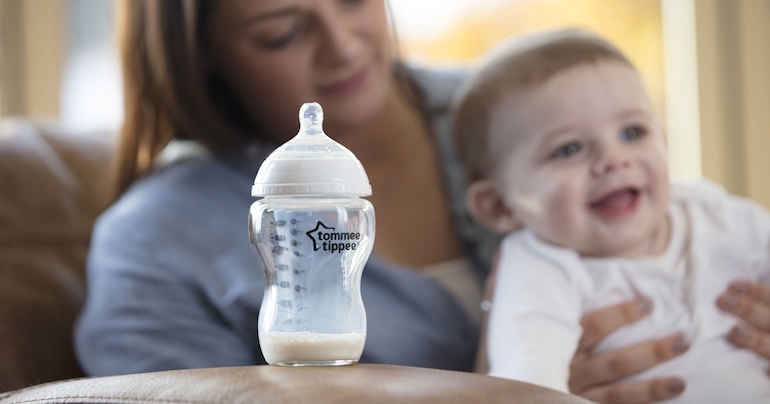 And Tommee Tippee has delivered with the new ‘Perfect Prep Day & Night’. Mum Central’s team has reviewed the aptly-named Dream Machine. And here’s why we think you should check it out for yourself. This amazing gadget is a mummy-must-have. 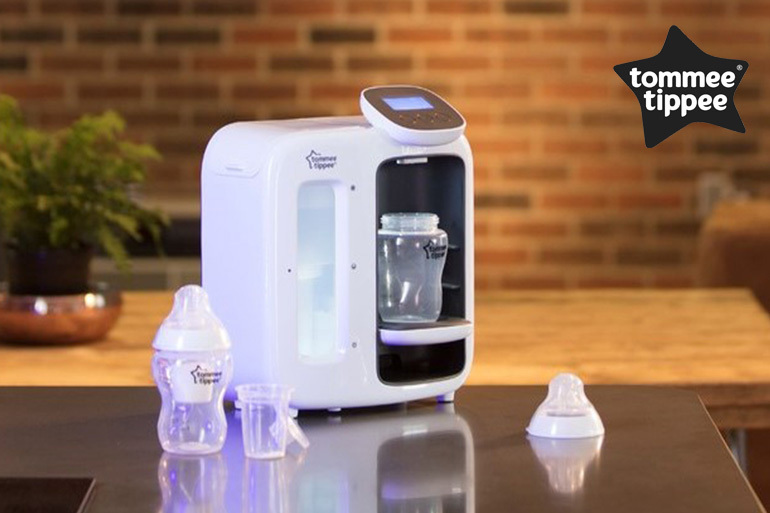 Better than a bestie, the Tommee Tippee Perfect Prep machine is by your side all day, and all of the night. 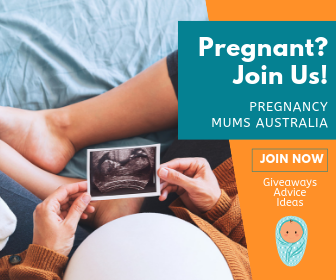 Reliable, supportive and making new #mumlife easier for everyone. Having a baby is a tricky time. There’s practical challenges like making endless bottles while your little one screams themselves silly. And physical challenges like the 1am, 3am and 6am feeds. Combine the demand for quick bottle making with a few weeks of sleep deprivation? You’re in a world of new mummy pain. But what if we can make those bottles more quickly? And dare we dream – what if everyone in our home can get a better night’s sleep? Well, with the Tommee Tippee Perfect Prep machine we can. And we did. 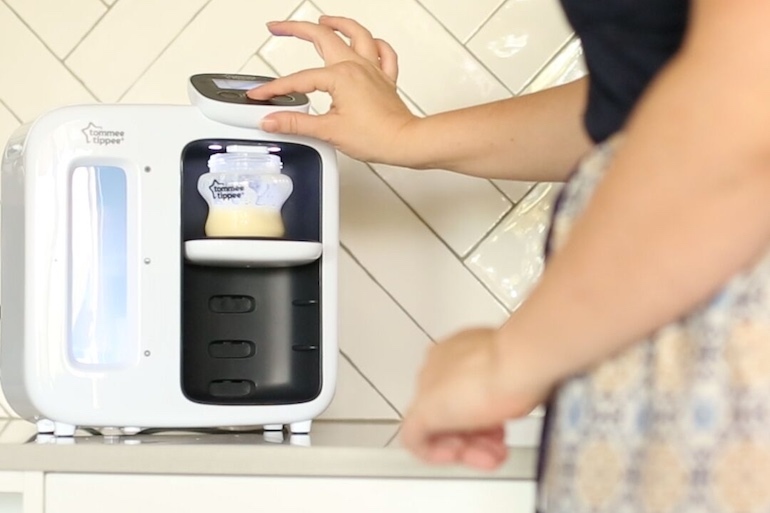 Here’s what you need to know about this baby bottle maker. The Perfect Prep Day & Night machine actually delivers a perfect feed (over and over again) in less than two minutes. Perfect Prep is 10 times faster than using the kettle, ending the waiting-forever-for-the-water-to-heat scenario. The bottle maker also boasts an internal water filter ensuring that baby gets the purest bottle possible every single feed. The Dream Machine has super-clever glow lighting and adjustable volume control for restful and less disruptive late night feeds. Length of time it takes to make an old-school bottle in the middle of the night while baby screams? Eternity. Length of time it takes for baby to let you know he’s reallllly unhappy about waiting? Three seconds. And that’s the real mum problem that the Perfect Prep Day & Night machine is here to solve. 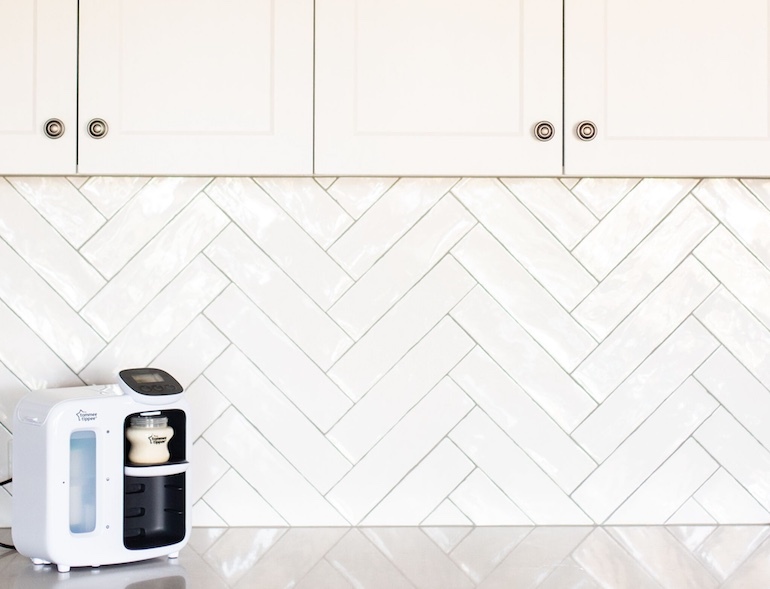 The Perfect Prep machine helped the whole family sleep better. We appreciated the efficiency of bottle-making (without the fumbling, waiting and screaming) and were ecstatic to be back in bed faster than ever. Quicker bottles also left baby no time to fully fuss themselves to a hyper-awake state. With the Dream Machine, bub is fed, settled and back in the cot in a matter of minutes. 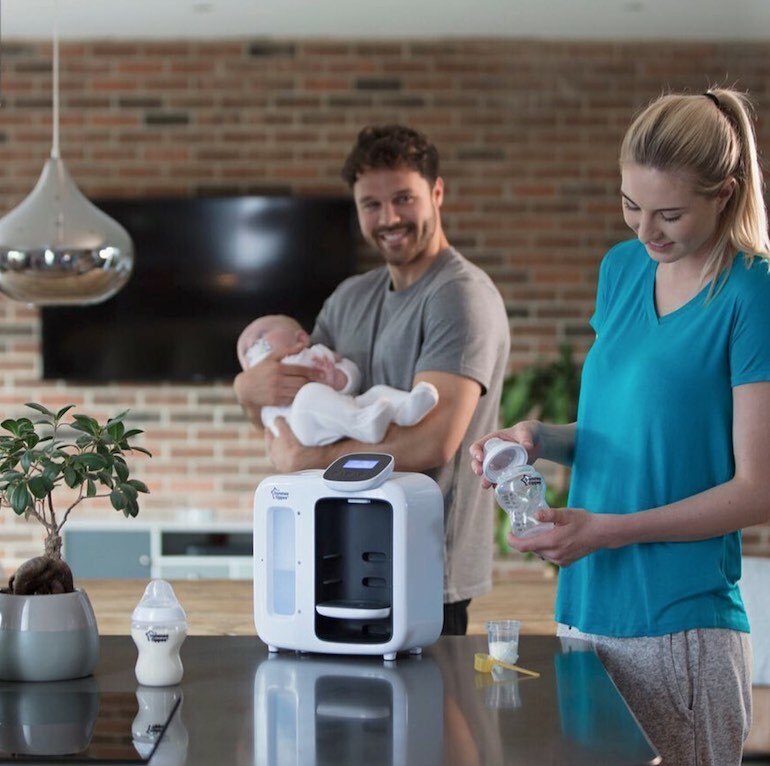 With the Perfect Prep machine’s two minute bottle making, everyone can be back in bed quicker than you can say ‘You’re on the next feed’. #Winning. 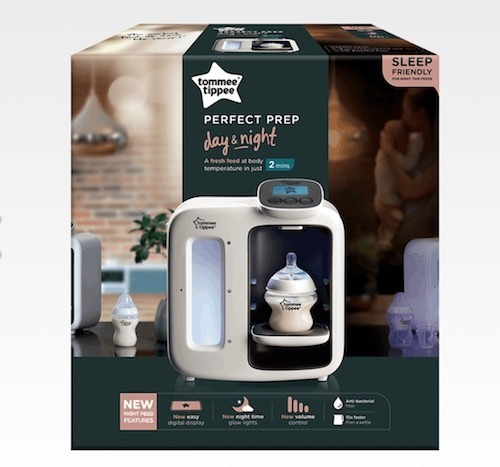 The Tommee Tippee Perfect Prep Day & Night machine has many more benefits than just efficient feeding. Knowing that bottle preparation is an exact and safe science provides huge peace of mind. If you’ve ever worried whether granny (or the babysitter) is capable of getting the bottles ‘just right’, you’re not alone – us too! The Perfect Prep Day & Night means no more worries and safe, controlled feeds whether you’re on duty – or not! Every feed made in the Perfect Prep machine is a fresh feed. There’s no pre-made-up bottle festering on the kitchen bench. We love that this bottle maker reduces the possibility of bottle contamination or bacteria. Some people love to microwave, some don’t like it so much. If you’re in the anti-microwave camp, the Perfect Prep machine means baby’s formula need never be ‘nuked. And best of all, the Perfect Prep Day & Night is a great way to support new dads in supporting you. 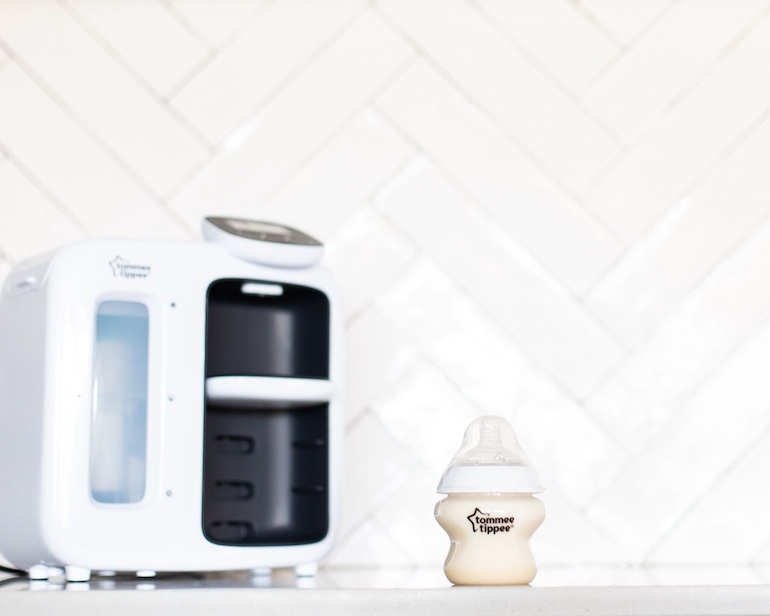 We’re all learners when we bring home a baby and the Tommee Tippee Dream Machine makes life easier for everyone. With the confidence that bottle preparation can’t go wrong, share the load of those endless night time feeds. Tommee Tippee has definitely considered what mums really need in designing the Perfect Prep Day & Night. The verdict is in: Every mum needs a Dream Machine! Being a new mum is tiring. It’s amazing. But it’s also a truly exhausting experience. Knowing your baby’s bottle will be consistently perfect, right around the clock, is absolutely priceless. 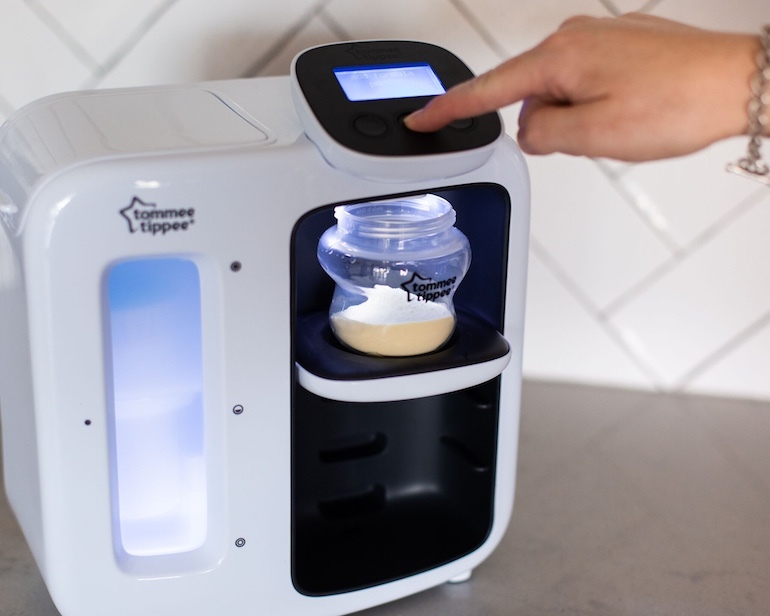 We love that the Tommee Tippee Perfect Prep machine takes the fuss, worry, waiting, fumbling and screaming out of feeding. The Perfect Prep Day & Night machine is available at Big W, Target, KMart, Baby Bunting, Coles and Woolworths at RRP $220. 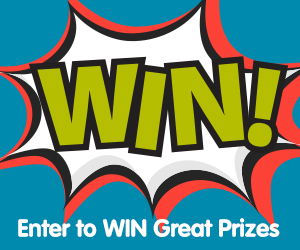 Wonderful review and a dream prize; thanks & good luck everyone. Very convenient in the middle of the night when you are sleep deprived. Fast, quiet and easy to use what could be better then that. This item would be absolutely amazing for my husband and I for our first baby and any more in the future. I have had so many friends use this brand so I know I can trust the item./product. Be such an beautiful assistant to our kitchen to proved for our baby. I need one of these for my husband, he is so unorganised but will be a full time stay at home dad for about 6 months after Bub is born and I’ve returned to work. Every mum&dad deserve one of this, it just makes life easier stressless…so this is why I only say good luck to the lucky one and who is a mum to be for the first time as me!